Sharp Investigations, LLC is owned and operated by Gregory A. Sharp (Alec), a veteran policeman with over 25 years of continuous, active police work in his hometown of Columbia, South Carolina. 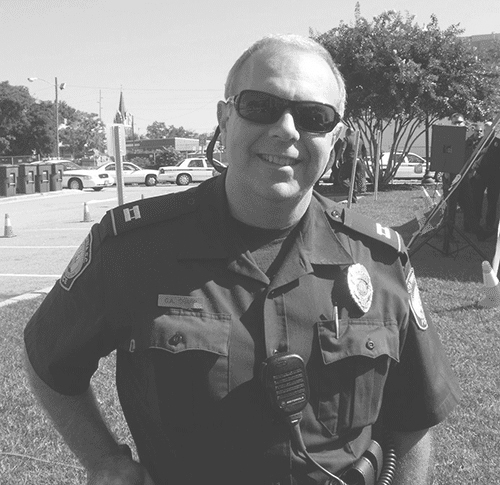 During this quarter-century of experience with the Columbia Police Department, he excelled in Patrol, Alcohol Enforcement, Community Response, Training, Investigation, Regional Executive Matters, and as Watch Commander. Ultimately he retired as a most respected Captain having managed one of the largest, most challenging regions. Mr. Sharp uses his experience to assure the highest levels of service in private investigation. He is deeply concerned with his clients’ goals and objectives, and always meets these directives within South Carolina Law. Gregory A. Sharp, a fully licensed and bonded investigator, is known for putting clients first, whether the need is professional process service or confidential investigations. His business maintains the highest level of customer satisfaction through experience, professionalism, leading edge technology, continuous training, certifications, key alliances, competitive pricing, and absolute confidentiality. WHEN YOU REALLY NEED TO KNOW. © 2012, Sharp Investigations, LLC.